HUNDREDS of demonstrators were arrested yesterday as the violent crackdown on protesters by State security agents continued, while unrest continued in most parts of the country for the third day of a stayaway called by the Zimbabwe Congress of Trade Unions (ZCTU) and other social movements. At least nine people have reportedly died since the protests started on Monday, but yesterday no fatalities were reported despite the continued beatings of civilians in a brutal crackdown on dissent by security forces. Businesses, schools and banks were closed in Harare, while its central business district was void of human and vehicular traffic for the third day running. Government blocked the Internet for over 36 hours until 5pm yesterday, but evidence began to emerge of soldiers and police patrolling high-density suburbs in Harare, Bulawayo and other cities and towns, attacking people in their homes, in scenes reminiscent of the dark days of former President Robert Mugabe's 37-year reign of terror. Many cities and towns remained closed as protests continued despite the deployment of soldiers in the political hotbeds of Epworth, Kuwadzana, Chitungwiza, Tafara, Mabvuku, Highfield, Pumula and other areas. Zimbabweans were protesting against President Emmerson Mnangagwa's decision to hike fuel prices by 150%, but the President told Russian media in Moscow that the protests were "fizzling out." "I understand this, that there were some protests happening yesterday (Monday), but they are almost fizzling out and there is no country which has no challenging problems. These come and pass," Mnangagwa said in an interview with Sputnik. In Harare, sources claimed that Zanu-PF youths, under the leadership of provincial chairperson Godwin Gomwe, were patrolling suburbs with lists of perceived MDC supporters' names who were being fished out and assaulted, forcing them to flee their homes. Some MDC supporters and residents yesterday claimed some of the armed people with AK-47 rifles in civilian clothes were not soldiers, but armed Zanu-PF youths. Zanu-PF Harare provincial chairperson Ratidzo Mukarati was seen in her ruling party-branded vehicle patrolling Kuwadzana suburbs with soldiers and police, and was accused of beating up people suspected to be MDC supporters. She was later reportedly manhandled by a woman whose child was beaten up by security forces. But the woman was taken away by soldiers and her whereabouts were not known by the end of the day. Mukarati was not picking her phone last night. Reuters reported that the opposition MDC MP for Harare West, Joana Mamombe, was in hiding after soldiers sought her out at her parents' home on Tuesday and beat up her father, leaving him hospitalised and unable to sit. "I am very scared for my life. This is a crackdown on those of us who oppose this government. They want to silence opposition voices," she said by telephone. In Bulawayo, there were running battles between protesters and soldiers. Residents formed vigilante groups to protect their property from being looted. Mutare remained shut down, with banks, schools and shops remaining closed. Roads leading to the city centre remained barricaded, but residents woke up to some flyers under their doors, urging them to report to work. Chinhoyi residents woke up to a trail of destruction, following a night of looting in high-density suburbs. 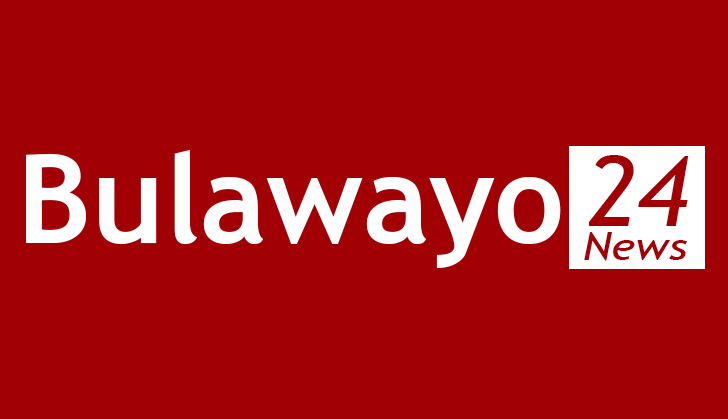 The looting followed fierce clashes in the afternoon between the protesters and soldiers at Gwaya Gwaya shopping centre. Trouble reportedly started when uniformed soldiers tried to chase people away from the shopping centre, but they resisted. Incensed by the soldiers' actions, the youths became rowdy, stoning vehicles and burning tyres. The situation remained tense in Marondera. In Mvurwi, protests continued yesterday, with soldiers being deployed after protesters attempted to take over a police station. Protests also spread to rural growth points and there were running battles in Zaka yesterday. Police stations were overwhelmed by the people arrested in connection with the protests. Mnangagwa, who is in Russia, condemned the violence, saying: "Unfortunately, what we have witnessed is violence and vandalism instead of peaceful, legal protests. There can be no justification for violence against people and property. Violence will not reform our economy. Violence will not rebuild our nation." But ZCTU president Peter Mutasa told NewsDay that despite government attacks and arrest of citizens, "suffering citizens" would soon embark on another job action to force the authorities to act. "It is unfortunate that we witnessed violence from both sides. We have a repressive regime and some people who are mostly not our members who turned violent. We condemn this act. But let government knows that even if they kill us, arrest and send us to jail, the challenges facing our people need dialogue. As labour we are saying, let us solve this crisis together as Zimbabweans," he said. Mutasa said his life was in danger as State security agents attacked his family and abducted his son, who they later dumped metres away from the house. "They assaulted my family, destroyed my property and I then asked my lawyer Alec Muchadehama to go and inquire with the police if I was wanted," he said. "They said no one was looking for me. I don't know why these State agents are harassing my family. But let it be known that this is not my personal struggle, it is a struggle shared by many. We are giving government seven days to act and solve the crisis or else the people will down tools. They do not have transport money."